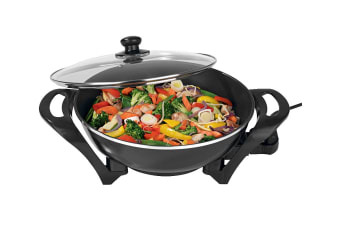 Making a delicious stir fry at home can be simple with the Lenoxx Healthy Choice 4.5L Large Electric Wok. The non-stick coating makes stir frying and grilling easy and also makes omelettes and pizza to perfection. The Healthy Choice 4.5L Large Electric Wok is the perfect cooking appliance for a simple weeknight dinner. 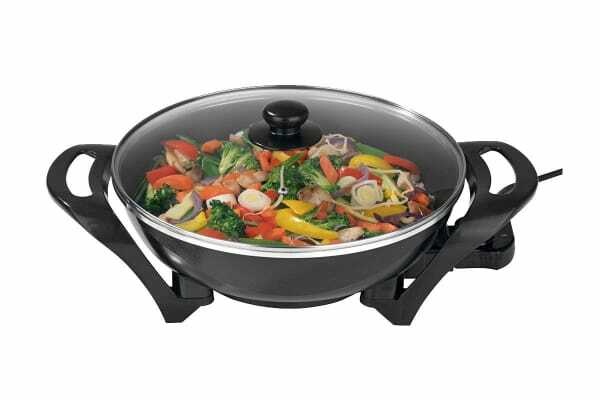 This wok comes equipped with 5 levels of adjustable controls and is capable of reaching a maximum temperature of up to 240°C. With 1500 watts of power and a butterfly heating element, you can be rest assured knowing that all of your favourite recipes will be cooking thoroughly and evenly!